Every pet owners wants a hassle-free holiday but not every pet travels well. If you want, or need, to take your dog or cat with you this holiday break, early planning is essential. Are you travelling by car or by plane? Different modes of transport require different carriers; airlines can be quite specific about the size of a pet’s carrier so enquire early. Plan your route. You’ll need rest stops every two hours to give your dog or cat a chance to pee or poop, to stretch their legs and to drink water comfortably. Make sure there are pet-friendly rest stops on the way. If the journey is long, consider breaking it in two with an overnight stop. Don’t forget leads and harnesses. You’ll need these when you stop to prevent your pet from escaping. 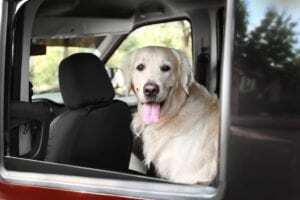 Dogs love to romp after being confined in a car. Give yours a chance to stretch his legs by taking him on a short walk at every stop. Check before you leave that your destination is pet-friendly. There are thousands of holiday guest houses and self-catering accommodations that welcome pets. Accommodation sites like AirBnB, Lekkeslaap and Travelstart all feature pet-friendly holiday accommodation. 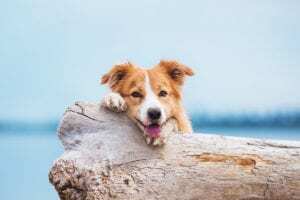 Protect your pet against parasites. Your own garden may be parasite-free (or so you think) but your holiday destination might be in an area that is infested with ticks or fleas, or you may be hiking, visiting nature reserves or taking walks in parks and gardens where ticks thrive. EberVet Vetshops and veterinary clinics stock a wide range of anti-parasite protectives. But do ask for advice. The product you choose will depend on your pet’s age, life stage and lifestyle and remember, never ever use a dog’s flea protection on a cat. It is toxic to cats. Practice makes perfect. If you haven’t travelled with your pet before, take him or her on short trips in the car before your holiday. In this way you can ascertain whether he or she becomes anxious or suffers from car sickness. Your vet or EberVet Vetshop can recommend calming remedies such as Calm Eze gel which can be rubbed onto cats’ paws for licking off or pheromone collars or sprays which make your pets feel good. Test these remedies at least a week before you travel to see how your pet reacts. Pack for your pet as well as yourself. Don’t forget water and food bowls, litter trays for cats and bedding. The familiar smell and texture of your pet’s bed from home will give him comfort when in a strange place. If you can’t haul the whole bed along, pack a favourite blanket. Pack a selection of new toys to keep him calm and amused in this new strange place. And pack a few toys in the car. 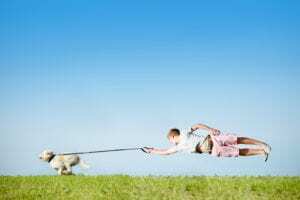 We might enjoy scenery but your dog or cat will need additional stimulation. Give him space. Your pet will need to lie down to rest comfortably, and to sit up and see out of the window so don’t surround his carrier or bed on the backseat with piles of luggage. And make sure he has access to fresh air. This will help if he is susceptible to car sickness.